High tide at a hidden coral reef. One lone palm. 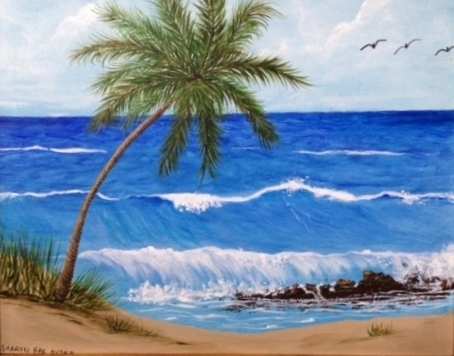 Inspired by the Bath tub reef in Stuart, Florida at High Tide.